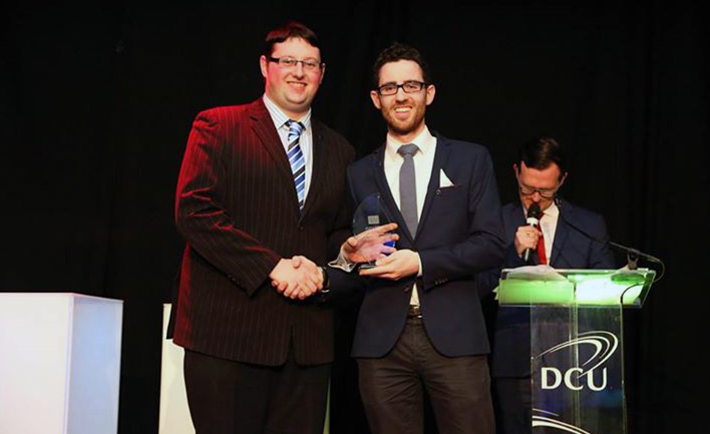 DCU’s first ever Student Union Awards were held on Tuesday April 29 to acknowledge the hard work of students throughout the year beyond clubs and societies. The awards were created, according to Welfare Officer Lorna Finnegan, to celebrate the hardworking students involved as class reps and those running SU campaigns and thank them for their help and co-operation. Former CS student and singer/comedian Abandonman provided the entertainment for the night. Awards were be given to students who gave the most outstanding contribution to many aspects of the Students’ Union, including the Electoral committee, Class Rep Council, Media Crew, Welfare working group and many more. Categories included Class Rep of the Year for every school along with Faculty Rep of the Year, Staff Member of the Year, both academic and non-academic as nominated by students, specific awards for members of the DCU Media Crew, acknowledgements to the Welfare working group and ENTS Crew and Outstanding Contribution to Student Life. Twenty-four class reps received awards on the night including Shauna Kilbride (BNCG), who won overall Class Rep of the Year. Anni Hayes secured the Overall Media Crew Member of the Year whist Steve Conlon won the award for Contribution to student life by a staff member. Damien McEvoy was the presenter along with a couple of special guests.